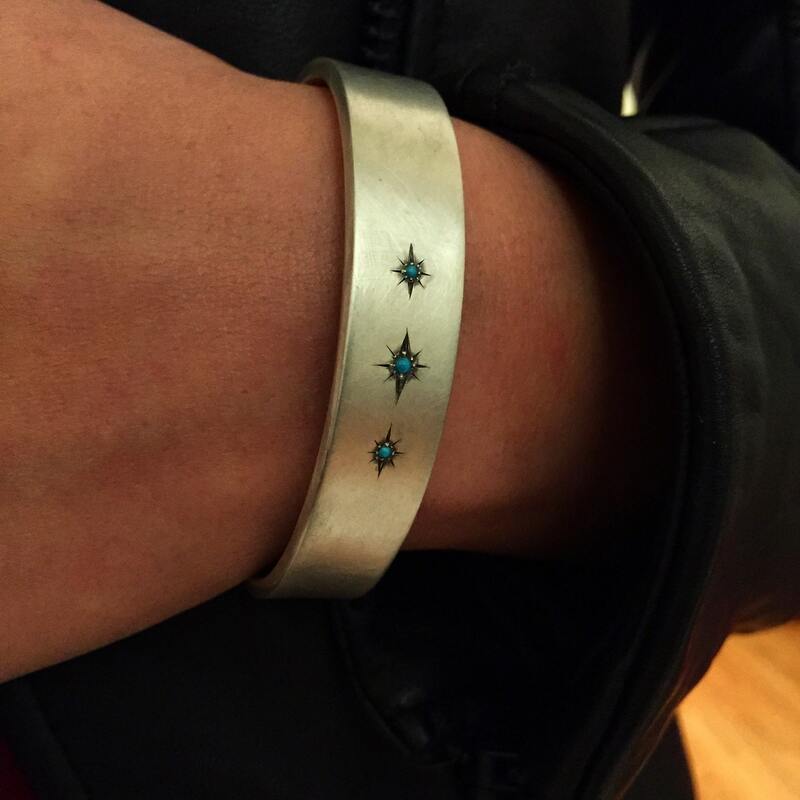 A heavy (.5" wide) sterling silver cuff with 3 star set turquoise. 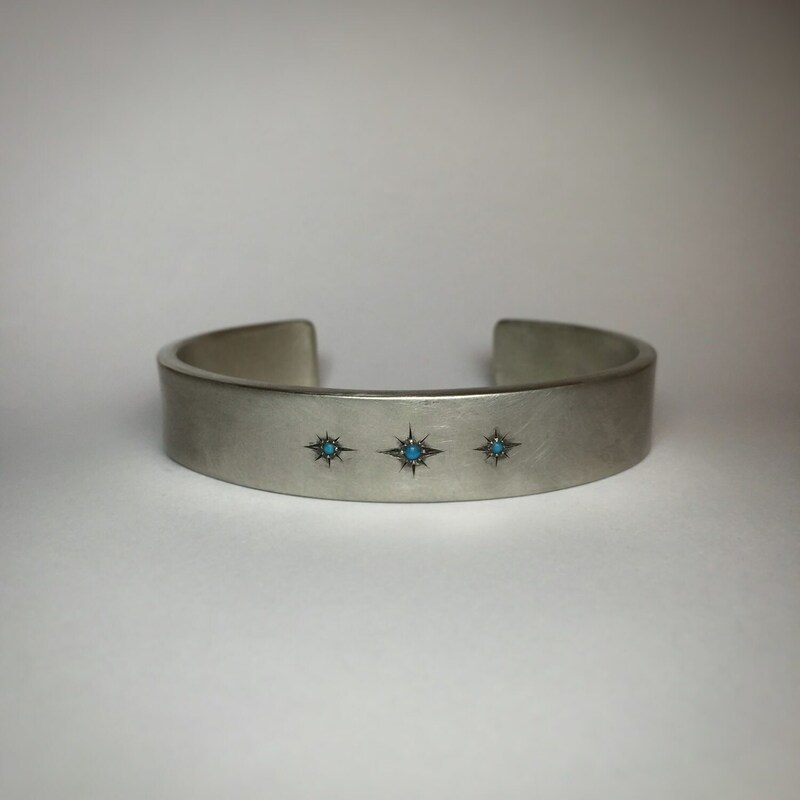 Matte Finish and oxidized. Happy to customize, just send us a message!